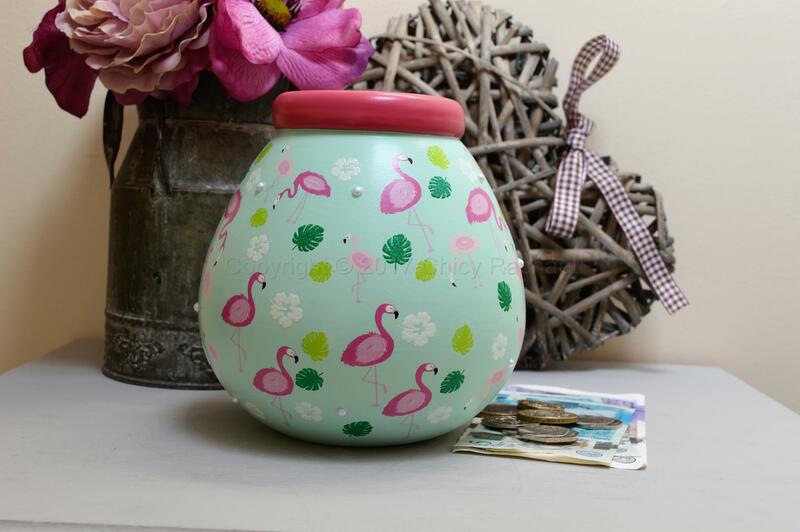 This is a delightful money pot in a mint green and pink with flamingos, leaves and flowers print all over, with added glitter and gems. 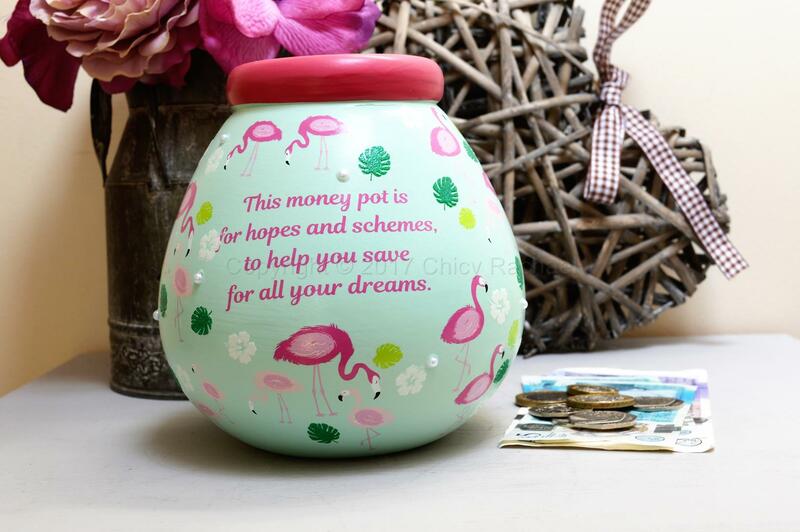 On the reverse it has the verse “This Money Pot Is For Hopes And Schemes, To Help You Save For All Your Dreams”. 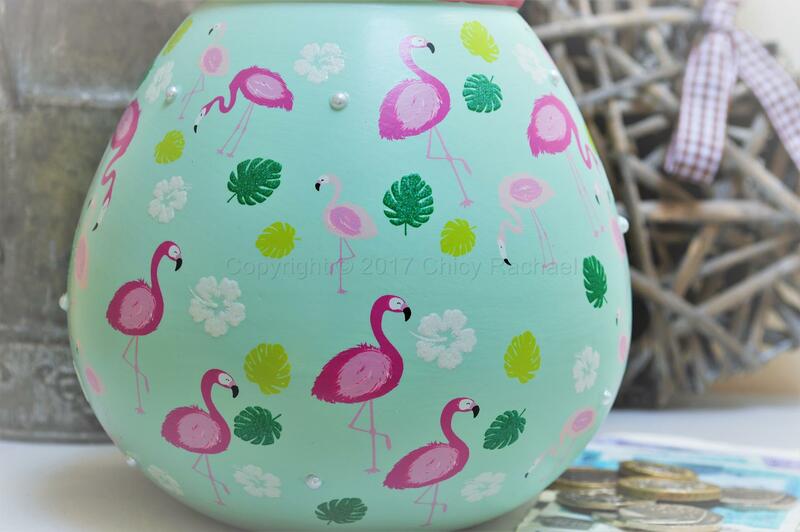 These pots make great presents and a really fantastic way to save up for that something special. 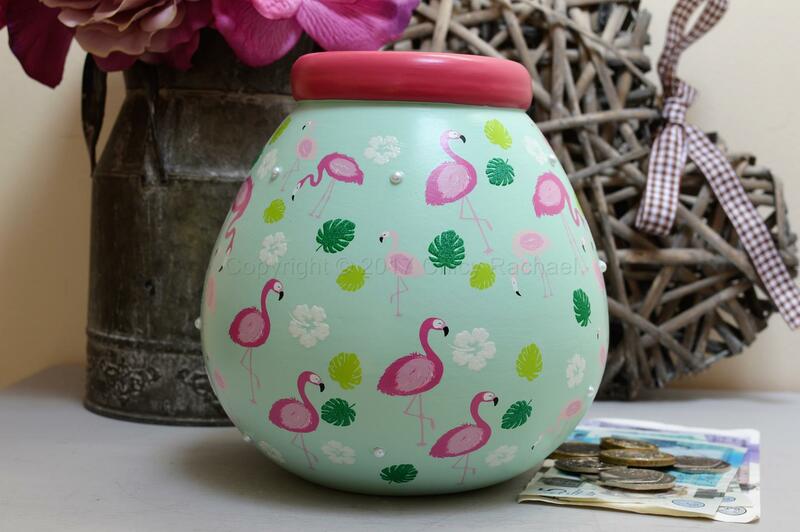 This money pot is on trend at the moment and would make a great addition to any room.